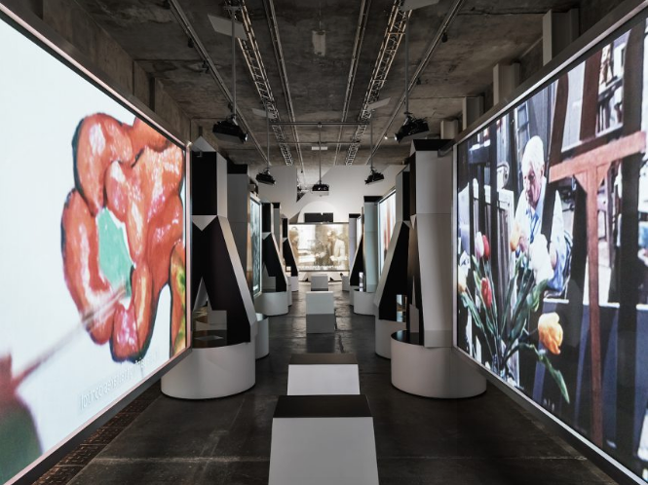 Fondazione Prada presents in its Milan venue “TV 70: Francesco Vezzoli guarda la Rai” (TV 70: Francesco Vezzoli Watches Rai), a project conceived by artist Francesco Vezzoli and developed in collaboration with Rai, Italy’s national broadcasting company. 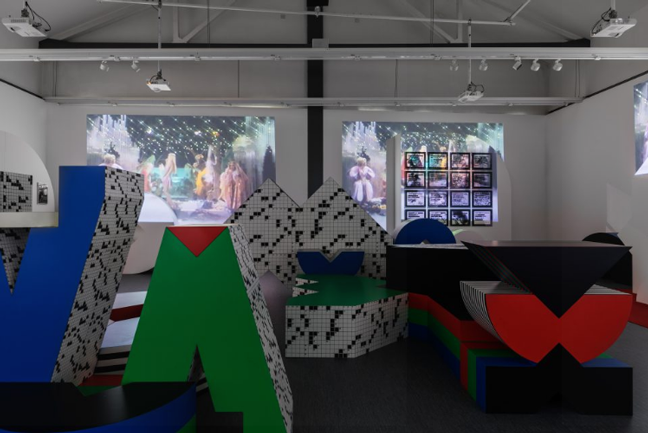 In between individual experiences and collective narratives, the exhibition translates the artist’s gaze into a visual experience that explores 1970s TV production. Italian public TV is interpreted by the artist as a driving force for social and political change in a country in transition from the radicalness of the 1960s to the hedonism of the 1980s, as well as a powerful machine for cultural and identity creation. During that decade, Rai revised its pedagogical mission and distinguished itself for the high cultural quality of its productions, such as the collaborations with film directors Bernardo Bertolucci, Federico Fellini, Paolo and Vittorio Taviani. Divided between formal austerity and experimental vocation, 1970s television amplified the development of collective imagination into a plurality of landscapes and individual perspectives, anticipating the narratives which characterized the commercial television of the following decade. TV became a specific medium, and its shows went through a progressive transformation: they first shifted from culture to information, and subsequently from information to communication. As stated by Francesco Vezzoli: “With this project, I wanted to set a path that was risky and dense—one as difficult as the subject requires—but also entertaining and surreal. 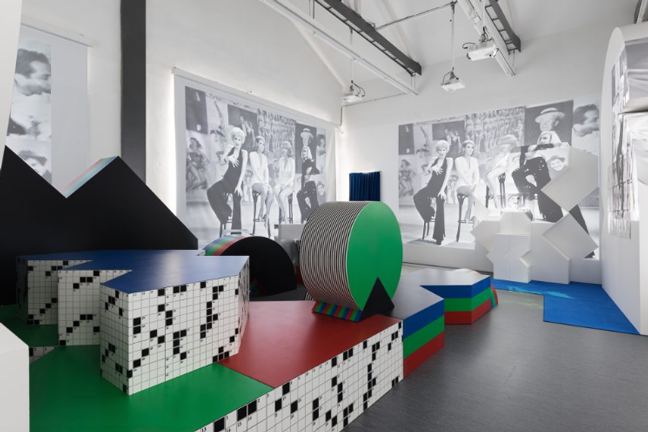 A true investigation of this contemporary custom and its roots, informed by today’s critical sensibilities: 1970s Italian television produced rituals and, as a consequence, absolute, longlasting myths that still today, presented anew in this exhibition, can inspire us to make unconventional choices”. “TV 70”, realized with the curatorial support of Cristiana Perrella, has been conceived as a sequence of visual and semantic juxtapositions taking place in the Nord gallery, in the Podium and in the Sud gallery at Fondazione Prada. 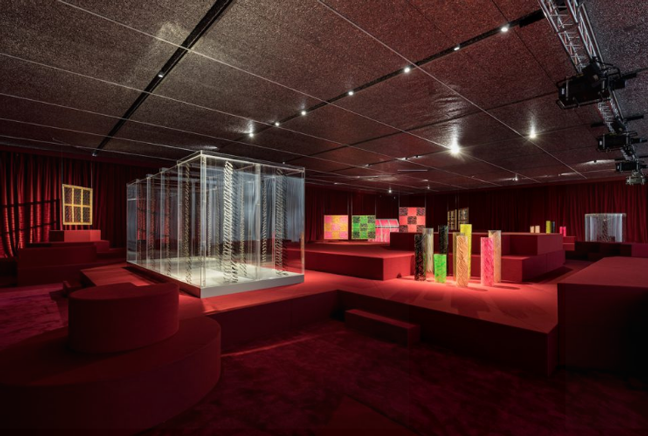 The design of the show, realized by M/M (Paris) – Mathias Augustyniak and Michael Amzalag – is based on the merging of spatial and temporal dimensions in a set-up which combines traditional museum exhibition standards with the screening of moving images, in alternating conditions of light and darkness. The sequence of immaterial documents from the Teche Rai archives combined with the materiality of paintings, sculptures and installations – selected thanks to the scientific consultancy of Massimo Bernardini and Marco Senaldi – develop in three separate sections, and analyze the relationships between Italian public television with visual art, politics and entertainment.